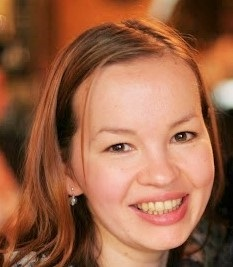 Ellie Danak lives and writes in Edinburgh and she has a degree in Swedish Language and Literature Studies. She has lived in Scotland for 10 years and since she went back to writing poetry she has enjoyed publication in the Emma Press Homesickness and Exile and Campaign in Poetry and Paper Swans Press The Darker Side of Love anthologies. Additionally, her work has appeared on the Ink, Sweat and Tears,Black & BLUE, the Poetry School Campus, Nutshells and Nuggets websites as well as in a number of other poetry magazines and e-zines. and white plates laid out in the usual place. and sweeps crumbs off the road home. an arrhythmic light bulb blows. fingerprints pouring on the screen.